The pool and bar area was pleasant and clean. The staff were nice and friendly. The location of the hotel was excellent. Easy walking distance to the beach. 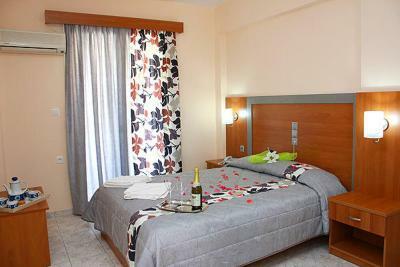 Good access to Laganas, Argassi and Zakynthos town for who like to go out at night. Nice beach beds by the swimming pool, the bar is open until late. Friendly staff. They drove us to the next hotel for a small charge, and made sure everything was ok before driving off. The reception staff was very helpful & let us keep our bags there after checkout in the morning til our flight departure in the evening. Plus, we can use the showers downstairs too. Great place for families or travelling with friends. The small kitchen in the room lets us cook breakfast (congee & soupy noodles), that's a plus. 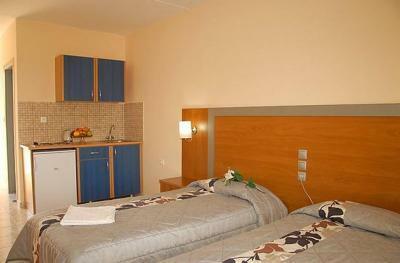 Very clean and well kept, good facilities, helpful staff. 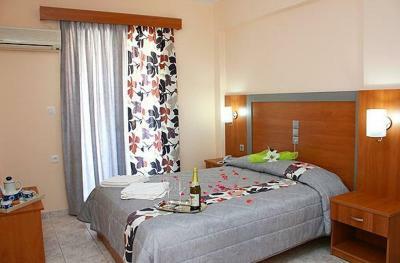 The best hotel I've stayed at in Zante in the same price range after many previous holidays here. 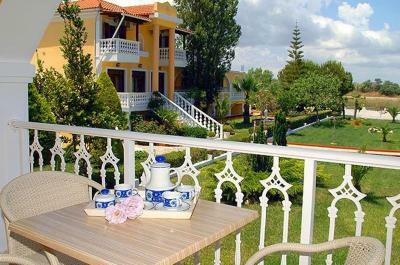 Macedonia This rating is a reflection of how the property compares to the industry standard when it comes to price, facilities and services available. It's based on a self-evaluation by the property. Use this rating to help choose your stay! Located 1,500 feet away from Kalamaki Beach, famous for the Caretta Caretta turtles, Macedonia has a big, well-kept garden with swimming pool and a snack bar. 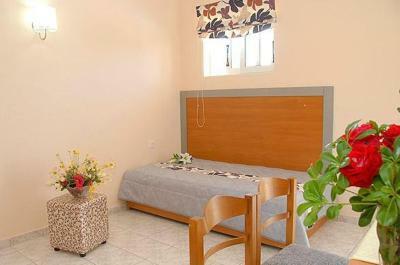 Its self-catering studios offer free Wi-Fi and a furnished balcony. At 656 feet, guests can reach the center of Kalamaki where they will find shops, taverns and bars. 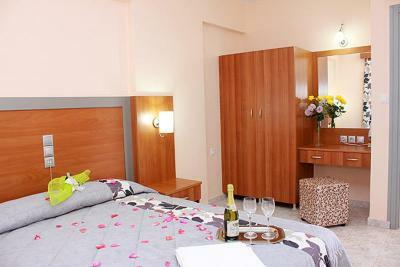 The bustling town of Laganas is 1.2 mi away, while Zakynthos Airport is at 2.5 mi. Free private parking is provided on site. 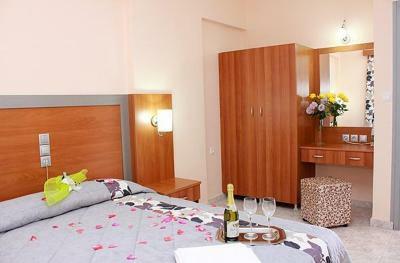 When would you like to stay at Macedonia? 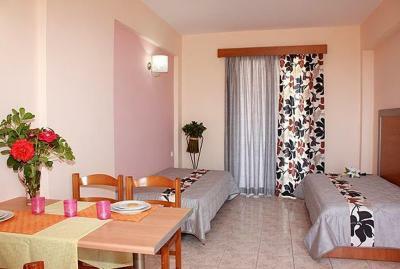 Spacious studio with kitchenette and a furnished balcony overlooking the garden or the pool. 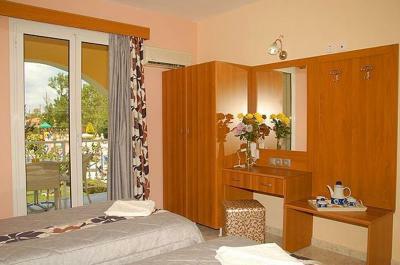 Spacious unit with kitchenette and furnished balcony overlooking the garden or the pool. House Rules Macedonia takes special requests – add in the next step! Macedonia accepts these cards and reserves the right to temporarily hold an amount prior to arrival. Air conditioning: Please note that air conditioning is available at an additional cost of EUR 7 per day or EUR 45 per week. The room wasn’t very nice it was ground floor and felt a bit like a dungeon, the bathroom had a funny smell and we had a adjoining door to the next room and it felt like the couple next door were in our room you could hear everything due to the door. Room next to maintenance room. Connecting door to another room so I could hear every conversation and private moments! Awful! We requested a double bed, and ended up with 3 single beds. We went to reception and explained the situation and they didn't do anything else, and didn't offer any form of compensation. We then realised that air conditioning was an extra seven euroes, and asked if we could have it for free considering the bed situation, but they were not able to help us (they could, but they didn't). We paid 70 euroes for the room and annoyingly it just wasn't worth it. Beds weren't very comfortable and the cooking rings took ages to cook anything. Also found the bar area expensive and drinks flat. There was only one AC in the family room so the beds in the kitchen are too hot to be used for the kids. We lost precious time of our vacation until the hotel agreed to give us a twin room instead of a double while my booking was for a twin. The employee was very nervous waking us up at 10:00 am knocking on the door counting the number of towels. The hotel wanted me to pay one day before saying that some guests leave without payment but I do not know if it was a valid worry since my booking was through booking.com. It is close to the airport and it was dramatic to see the airplanes flying just over our heads but those who are scared and/or do not like the noise should avoid Kalamaki area as a whole. Noisy at night. We were only there one night, and it was karaoke... Our rooms were hot and the air conditioning cost extra. If we opened the window, it was too noisy - so we didn't sleep well. Also too many Brits for our liking - with their Union Jack towels hanging on the balcony. I was in a rush in the morning, brought a small towel to exchange for a new one at the housekeeper's cart, but she hesitated to change it & said she will be over to our room soon. I still insisted, as i need it urgently and she finally agreed. Could have been easier though. The noise from the planes didn't bother me much (yes, im a very light sleeper) because they stopped flying around after 10-11pm. No problems in sleeping. Very comfy beds. Great location. Excellent staff.